Gossiping Birds Tote- fun with Neon! Tired of a cold dark winter? Well, I’m here to bring some neon brightness to you to chase away the cold winter blues! Use neon fabric paints to create something bright and springlike! 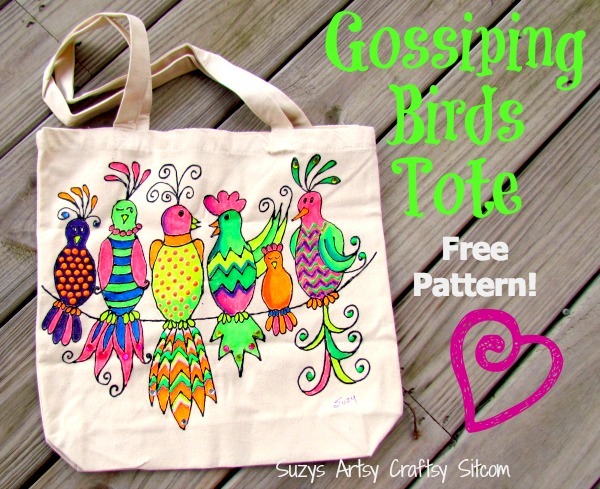 How about a Gossiping Birds Tote! I pulled out my Gossiping Birds pattern because I knew it would work well with bright neon colors. You have seen it done before with paint on a mirror, this time I’m making a cute neon tote! Want to know how? Begin with a regular generic tote. You can find them at most craft stores. 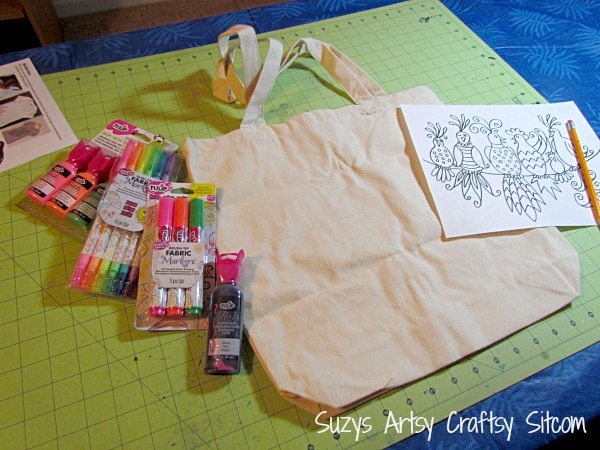 Print out your pattern and use a piece of carbon paper to transfer it to the tote. (I enlarged my pattern just a bit to fit by using a copier). Ready to get started? Click here for the instructions!